PLEASE CHECK OUR FACEBOOK PAGE FOR LIVE UPDATED DAILY AVAILABILITY. CLICK ON THE LINK ABOVE. Remedial Massage Therapy is a results based therapeutic massage centre located in Varsity Lakes on the Gold Coast. We specialise in sports, deep tissue and remedial massage techniques and muscle therapy. All our Gold Coast Remedial Massage Therapists are highly experienced and highly qualified. They all have an extremely sound understanding of anatomy and physiology which is of upmost importance when putting your body in our hands. We use techniques such as remedial massage, trigger point therapy, myotherapy and myofascial release to deliver a result based treatment. We believe that no one has to live with pain and therefore everyone should have access to quality treatment by highly specialised therapists that eliminates pain for good. We look forward to working with you! Remedial Massage Therapy located in Varsity Lakes is only a short drive from Robina, Elanora, Broadbeach, Nerang, Mudgeeraba, Reedy Creek, Palm Beach, Burleigh, Mermaid Waters, Miami, Tallai, Merrimac, Worongary and Currumbin. 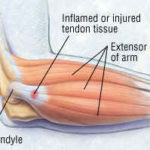 Trigger point therapy involves using pressure and release techniques to deactivate sensitive points in muscle fibres. We’ll keep you up to date with all the goings on around here, available appointment times, latest blog articles as well as special offers. 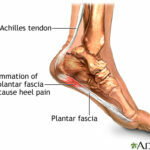 Treat Plantar Fasciitis Using Massage Therapy Do you wake up and find it painful to take that first step out of bed? And do your feet hurt more as the day goes on? You may already be suffering from Plantar Fasciitis. My job involves sitting at a desk from 9-5. I am constantly suffering back pain due to my job. 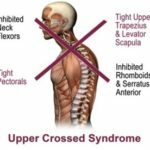 I have tried numerous chiros and physios over the past 5 years with no success. 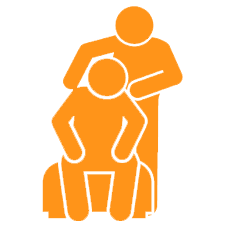 My last hope was remedial massage so I contacted the team at Remedial Massage Therapy Gold Coast. Hannah is a lifesaver. She was able to pinpoint the exact problem areas without my guidance. I went home feeling brand new. I visit the clinic fortnightly now and I am so happy to say I now have no issues at all with my back. Highly recommend to anyone suffering from back pain.